The transition to adulthood is a key phase in the life course of an individual and has been studied extensively (Goldscheider and Goldscheider 1999; Settersten et al. 2005). 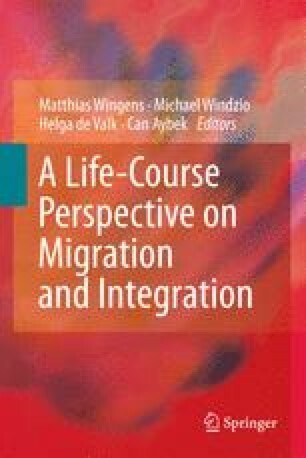 The existing literature in Europe covers different aspects of the transition to adulthood but still mainly focuses on the majority or native populations in European societies (Corijn and Klijzing 2001; Liefbroer and Dykstra 2000; Widmer and Ritschard 2009). Much less is known on how the children of immigrants make the transition to adulthood and what factors are relevant here. Young adults of migrant origin are, however, a growing share of the young adult population in many European countries. This study was carried out when the author was a German Academic Exchange Service (DAAD) guest professor at the University of Bremen and fellow at the Hanse Institute for Advanced Study (HWK) in Delmenhorst Germany.